Sometimes things get a little weird in Key West. That’s no surprise to those of us who live on the island, but occasionally our local brand of easygoing eccentricity startles unwary visitors. The ones who stumble upon the Cow Key Channel Bridge Run, for example. The quirky event even has a special division for people with pets — giving canines a bovine moment. Scheduled Sunday, April 7, the wacky race is definitely NOT designed for runners who enjoy sweating through marathons or other endurance challenges. 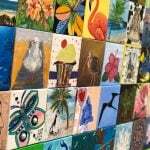 In fact, though the name of the event includes the word “run,” most entrants stroll, romp or amble instead. Why not? 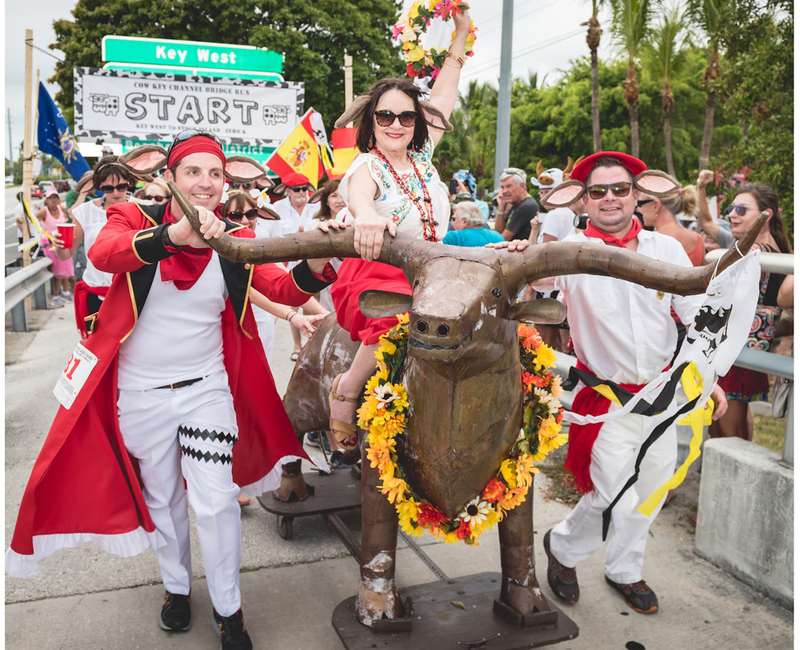 After all, the Cow Key challenge is the planet’s only “zero-k race,” and its intrepid participants follow a course across one of the Florida Keys Overseas Highway’s shortest bridges — spanning a grueling distance of approximately 300 feet between Key West and neighboring Stock Island. 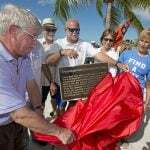 Before the race each year, entrants gather in a shady waterfront “corral” on the Key West side of the bridge for final registration, photo opportunities, an opening ceremony and costume judging. Costumes tend to be plentiful and pretty quirky; many are cow- or bull-themed and clearly inspired by the name of the bridge over the Cow Key Channel. In past years, some “athletes” have combined cow masks or headgear with bright-colored tutus (apparently if wearing a cow headdress is funny, then wearing it with a tutu is even funnier). Others dress in faux cowhide finery or last-minute creations constructed to suggest bullish beauty. Even dogs sometimes sport black-and-white cow costumes, much to their apparent dismay. Past runs have also included, for reasons that will probably always remain obscure, competitors dressed as Elvis, a gigantic red-and-gold rooster, and a huge furry creature that was either a gorilla or a clone of the iconic “Star Wars” character Chewbacca. 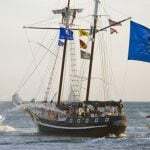 The 2019 challenge is themed Pirates of the “Cowibbean,” so it’s inevitable that herds of entrants will costume themselves as bovine buccaneers. Once the race begins, competitors are encouraged to run or walk at their own pace and clock their own time (some even attempt to beat the course record of 23.1 seconds). Separate heats are designed for relay teams and people with pets. 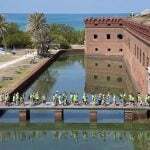 Entrants race on the Overseas Heritage Trail beside the roadway so car traffic isn’t disrupted. Even so, many passing drivers find themselves “moooo-ved” to issue car-horn salutes or shouts of encouragement. 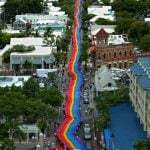 Following the 2019 race, “athletes” parade to the “Moos + Booze” pirate party and awards presentation at Sunset Green Event Lawn beside Key West’s 24 North Hotel. The coveted “Golden Calf” awards await winners in multiple categories. Proving their sense of humor is as unique as the event itself, organizers give the honors bovine and bullish names. They include the Udderly Awesome Award for the best costumed individual and the Mad Cow Award for the entrant deemed “a random crazy person” (possibly the toughest choice for judges, since it’s so hard to choose just one!). 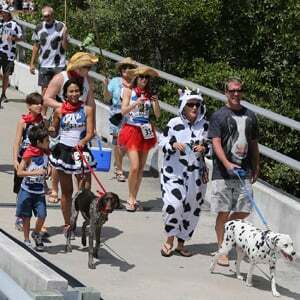 The Cow Key Channel Bridge Run doubles as a fundraiser, with a portion of each year’s proceeds donated to the Florida Keys Sheriff’s Animal Farm on Stock Island — a fabulous menagerie of mostly rescued critters that includes an emu, African spurred tortoises, a lemur, alpacas, an albino python, Mo the sloth and (fittingly) a black bull named Angus.